3 days 2 nights Kota Kinabalu trip was truly fantastic. 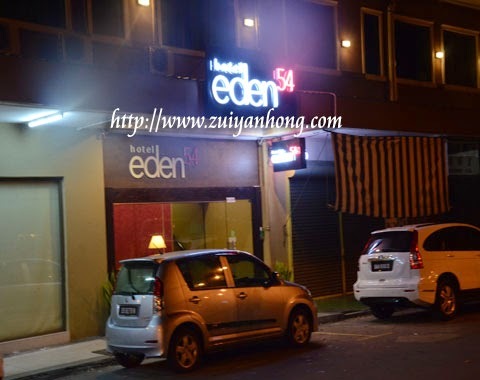 We stayed at Eden 54 Hotel which is located at Jalan Gaya. 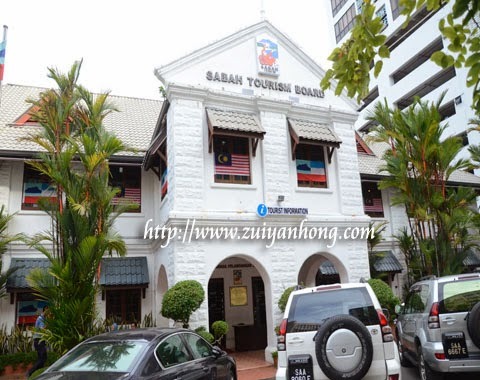 There is a variety of traveling information at Sabah Tourism Board. Australia Place is the location where Australian army landed during World War Two. 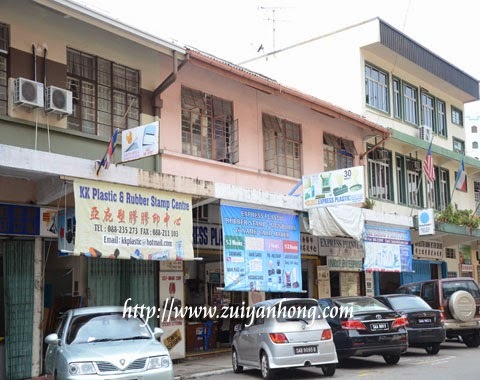 A wide range of shop, office and company are available at Jalan Gaya. 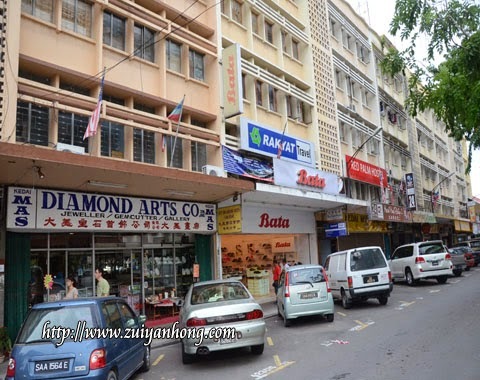 There is a Sunday Market at Jalan Gaya every Sunday. We dropped by Filipino Night Market to buy some Sabah marine products. 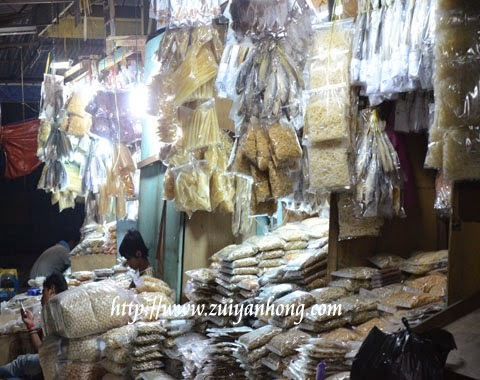 The stuffs are seaweed, anchovies, salted fish, dried shrimps, dried scallops and sea cucumbers. 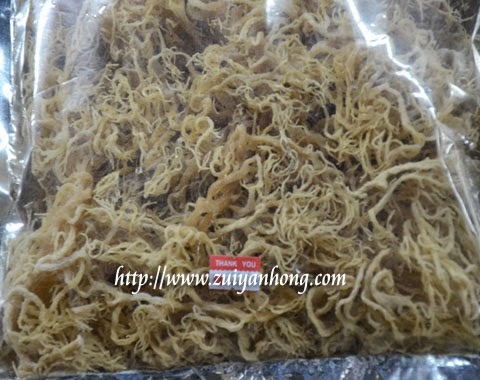 This is a packet of Sabah seaweed which is also known as sea bird's nest. Sabah seaweed is rich in protein, mineral, vitamin and collagen. We moved to Jesselton Point to buy speedboat tickets to Sapi Island. There are a few speedboat companies provide service to tourists getting to islands near Kota Kinabalu. 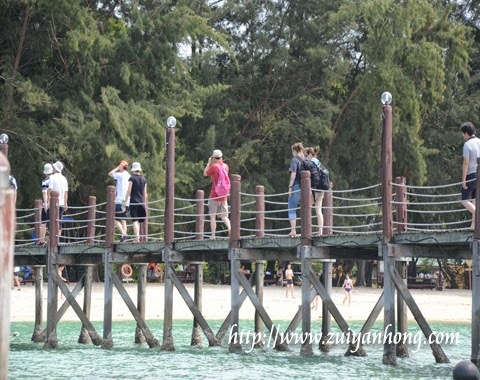 This photo shows visitors just arriving at Sapi Island jetty. Besides Sapi Island, you can enjoy the cool sea breeze at Manukan Island and Mamutik Island. Visitors are advised not to take anything from these islands except taking photos and left their foot prints. 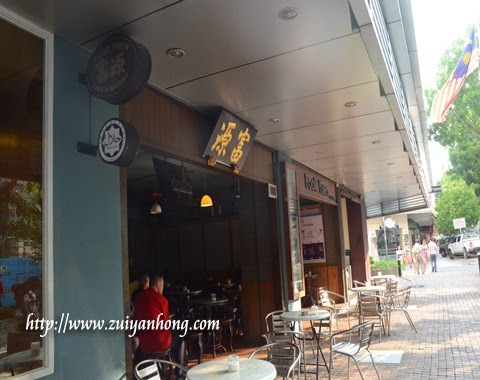 Returning from Sapi Island, we savored afternoon tea at Fu Yuan Coffee Shop. This coffee shop serves coffee in large glass. The taste of dim sum nothing different form dim sum in peninsula. Most of the employees of Fu Yuan Coffee Shop are like robot. 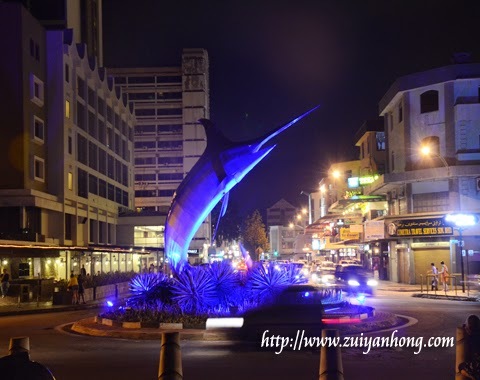 After taking dinner at Welcome Restaurant, we were strolling and taking photos around Kota Kinabalu. These photos include sailfish statue, Sugar Bun Cafe, Wisma Intiutama, Jalan Istana Arch, Malaysia Monument and Oldtown White Coffee. 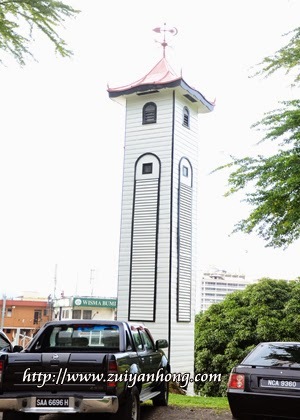 As a prominent landmark of Kota Kinabalu, Atkinson Clock Tower is one of the oldest buildings in Kota Kinabalu. It's was built in 1905 to commemorate the contribution of Atkinson as first Jesselton (Kota Kinabalu) District Officer of British North Borneo Company. From Atkinson Clock Tower, we walked to Signal Hill Observatory which is the highest point of Kota Kinabalu. Other than walking, taking a taxi to Signal Hill Observatory is another alternative. 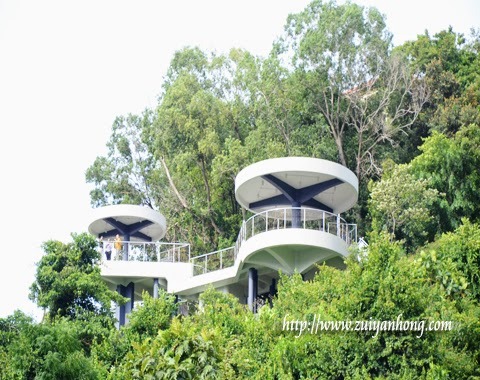 You are able to view the amazing scenery of Kota Kinabalu from Signal Hill Observatory. Before returning to peninsula, we went to Suria Sabah for last minute shopping. Suria Sabah is not only a shopping center. It's also a very popular tourist attraction in Kota Kinabalu. When you are in Kota Kinabalu, visit Suria Sabah to look for something you like and bring back as sweet memory.